In impoverished Honduras many families have inadequate stoves that used too much fuel, filled the home with smoke and were otherwise inefficient. 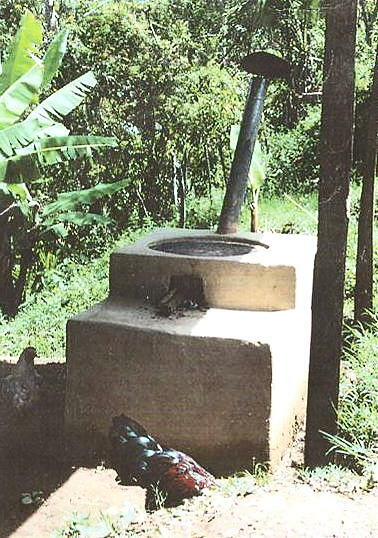 LifeNets helped student Courtney Bennett from Brownsburg, Indiana with an ambitious project to provide efficient stoves that are pictured below. The cost per stove was only $20 and 19 were built. 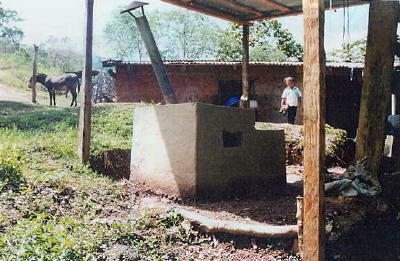 LifeNets provided 25% of the project cost that was also supported by Rotary clubs. The stove features an aluminum chimney that moves the smoke away from the people around. A griddle was included. Materials included six bricks and rebar. The families provided the adobe brick. These stoves use less wood than what they had before, so this use less trees and is good for the environment. Courtney is a 2000 graduate of Brownsburg High School, then DePauw University and now a graduate student at the University of Indiana in Bloomington. She lived in a town of 1200 in Honduras since 2004. She has done projects of teaching computer classes and a gardening group and basketball team for the girls in her town. She then embarked on the project with the stoves. Demand for such stoves was high in the community. The participating families have been chosen. It was difficult selecting the families. In the end, a leader of the community help Courtney pick the families. Most of the families are from the poorest area of the town where there is no electricity. High school students help build the stoves. Courtney says that helping the community isn’t stressed so she was hoping to install this value in the youth. LifeNets applauds this tremendous effort that has made a difference in 20 families.